The first ever website building tool I came across was called Moonfruit SiteMaker Live, way back in 2004. At the time, Moonfruit was great because you could build a flashy looking ‘flash-based’ website using simple drag-and-drop with no hassle. Over the years, however, I’ve come across and used many similar website building tools like Moonfruit, such as Wix and Divi for WordPress. 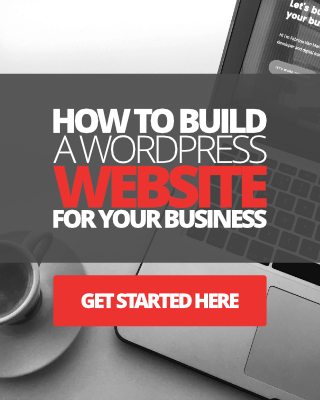 Nowadays, I enjoy using nothing other than WordPress and a small handful of practical web design and development tools that work harmoniously with WordPress for creating websites. If you’re a budding WordPress web designer or developer, below I’ve compiled a list of my favorite tools, themes, plugins, apps and various Chrome extensions I love to use for creating beautiful WordPress websites. 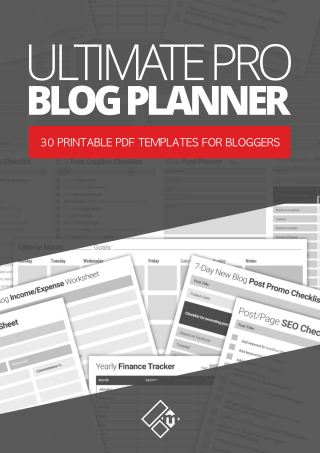 Chances are you’re probably already using most of these, but if you’re not, then you’re in for a real treat, especially if you’re just starting out or discovering some of these tools for the first time. Thrive Content Builder is my number 1 favorite WordPress website building/page builder tool. 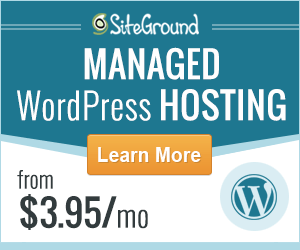 Because it makes my job of building beautiful content rich pages inside of WordPress very easy. It comes in the form of a plugin, and if you haven’t already come across it before, you’re going to love it. It doesn’t matter what type of page you want to create in WordPress, be it sales landing pages, pricing pages, an email lead capture page, course content pages, you name it, you can do it all with the Thrive Content Builder tool. Thrive Content Builder is a powerful front-end drag-and-drop, true WYSIWYG visual page editor/builder. 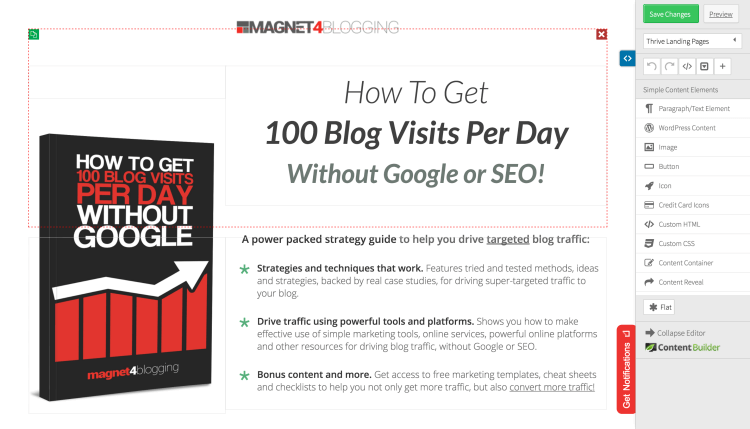 You can create both custom static pages and custom blog posts with this plugin. I wrote an in-depth review of Thrive Content Builder if you want to check it out here. Alternatively, you can head straight to the Thrive website here to learn more. Thrive Leads is my second favorite WordPress tool, or plugin. This is a fully locked and loaded email marketing, opt-in form list building plugin like nothing you’ve ever seen. It’s simple to setup and use and configures well with almost all of the email marketing service platforms out there, including MailChimp and AWeber. For all you freelance web designers, if you ever get a client requesting for these features to be built into their website, you know just how much work there is involved in manually coding these forms from scratch, right? 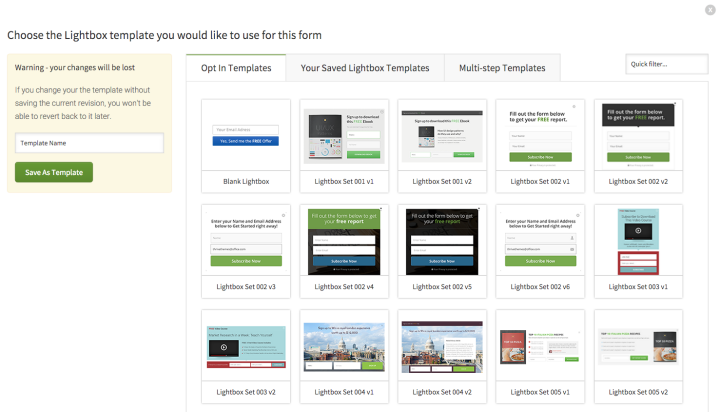 Design and deploy opt-in forms quickly. Create relevant and highly targeted forms with advanced targeting features. Generate custom reports and insights, and much more, all without touching a single line of code. Once again, I wrote a detailed review of Thrive Leads here if you want to read it. Alternatively, you can head straight to the Thrive website and learn more. 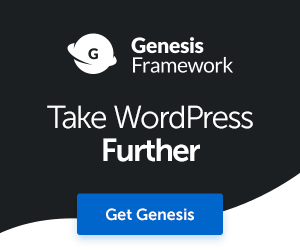 I’m pretty sure you’ve come across Genesis Framework at some point or another, it’s definitely one of the most widely used premium quality WordPress themes out there. I’ve been a long time user of Genesis Theme Framework myself. In fact, I started my blogging journey with a Genesis powered WordPress website back in 2010. There is a steep learning curve with Genesis and the StudioPress themes, especially for newbies. And if you have no knowledge or experience with basic PHP or CSS, you will struggle. That being said, most of the child themes for Genesis come ready to use, with some customization options available. Besides, once you pick up a few CSS tricks and what not, customizing websites with Genesis is a whole lot of fun. I wrote a detailed review of Genesis if you want to read it here. Alternatively head straight over to the StudioPress website to learn more. If you’re a more advanced user of Genesis and Genesis Child Themes, then you’re going to love using the Dynamaki Website Builder Theme. I’ve been using this tool for about a year now and I’ve been completely hooked, as well as overwhelmed by how powerful it is. Dynamik takes customizing Genesis child themes to the next level, and you can even install pre-made skins and customize them further. Or, you can create your own skins or child themes from complete scratch. You can check out my full review of Dynamik Website Builder here. Another awesome plugin from Cobalt Apps is the Genesis Extender plugin for Genesis powered WordPress websites. 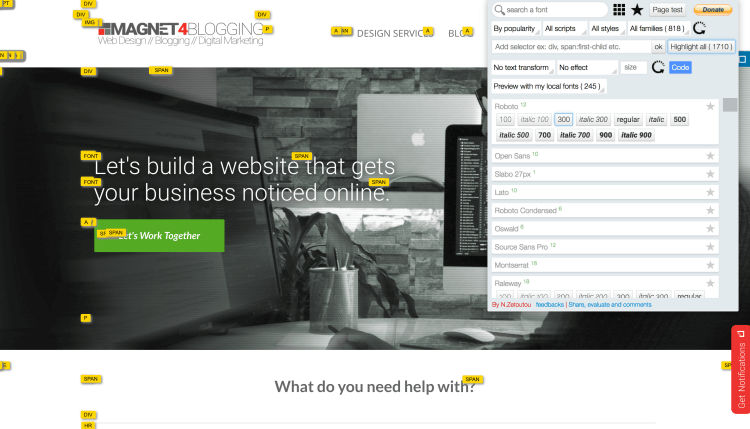 This tool is very different from Dynamik Website Builder, for starters it’s a plugin and not a theme. 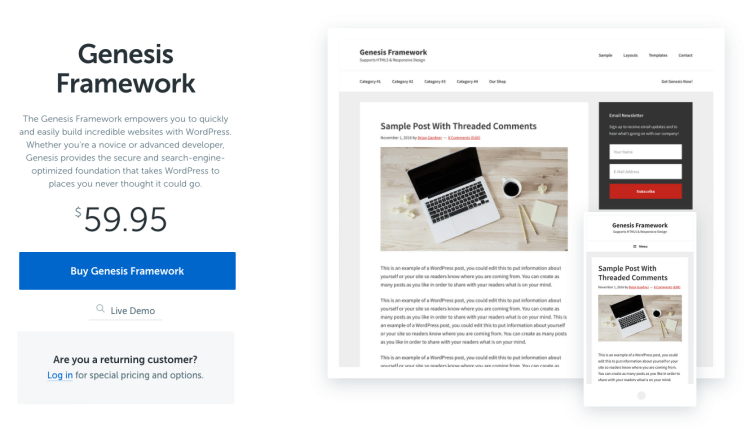 With this plugin installed into your Genesis powered WordPress website, you can customize and tweak the design and style of your entire site very easily and quickly too. If you’ve ever tried to edit the CSS file in a Genesis child theme and then tried to refresh the page each time to see the changes, you’ll know just how time-consuming and frustrating that is. There’s no waiting around with the Genesis Extender plugin, you simply edit, save your changes and see the results instantly. 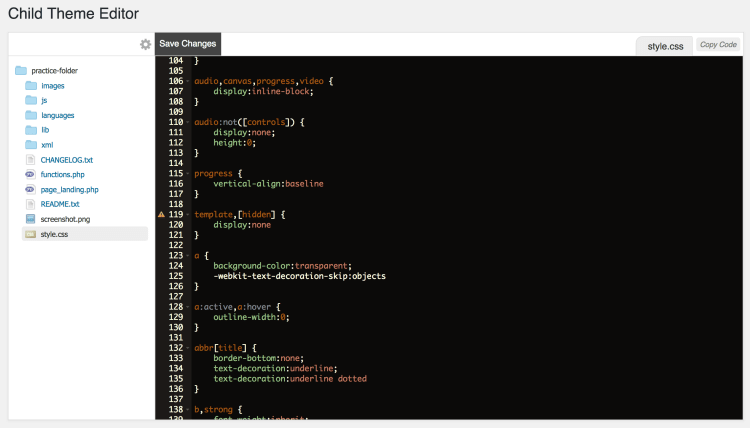 There’s also a custom front-end CSS editor for real-time editing, one of my favorite features on Genesis Extender. Most if not all of the Genesis child themes are supported too. You can learn more about Genesis Extender here. Have you heard of the Child Themer plugin? I only recently added this awesome plugin to my Cobalt Apps toolbox, and even though I’ve only been using it for a few months now, I love it already. In fact, I love it so much that I built the custom theme that you see I’m using for Magnet4Blogging. I call it the Sennen Pro theme. For those code savvy developers looking for a full-blown child theme development tool/environment for WordPress, you’ll love Child Themer by Cobalt Apps. Child Themer supports Genesis Theme Framework, Beaver Builder, and the latest default WordPress child themes. More are being added to that list by the developer. Features include child editor, child creator, front end CSS editor, Ace editor with customizable themes and much more. You can also create, name, delete folders for your child themes all in the back end of your WordPress dashboard. Check out the screen grab above. You can check out my full detailed review and tutorial of Child Themer here. Next, we get to the ACF plugin (Advanced Custom Fields). 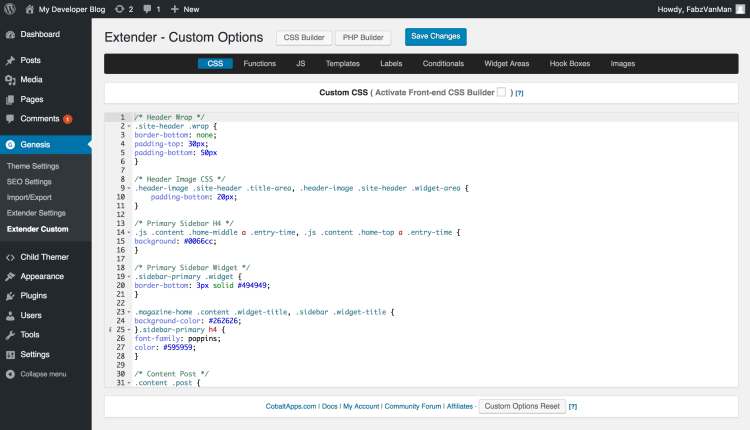 I absolutely love this plugin, and it makes my list because it gives developers the power to create custom options in the back end of WordPress, without having to hack into theme files. More options means more control, right? You can use ACF to create additional custom field types for your categories, for instance, or for your ‘edit’ pages. 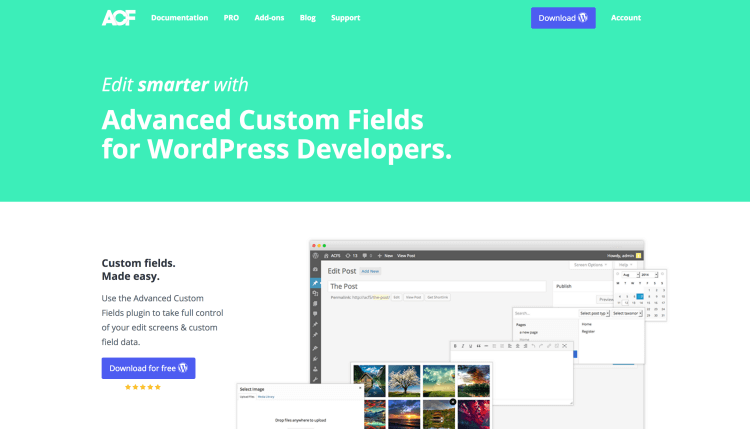 You can learn more about Advanced Custom Fields plugin here. 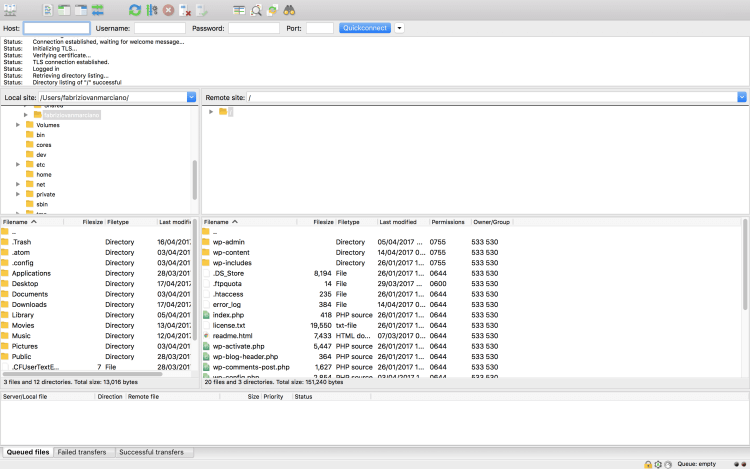 FileZilla is a popular desktop client that lets you log into your website’s server using your host, username, and password. Sometimes you may need to create a WordPress installation manually, or, if you ever need to upload large files to your, or your client’s WordPress website, I’ve found FileZilla to be very useful for this. Finally, we get to Font Playground which is a Chrome extension that allows you to, as the title suggests, play around with Google web fonts and preview them before adding them to your, or your client’s website. There’s another extension called “What Font” which is great for finding out the name of the font a particular website is using. Both these extensions are huge time savers again, especially when working with custom fonts on web design projects. You can learn more about Font Playground here. And What Font here. What’s in your WordPress developer toolbox? So there you have it, 9 awesome tools to help you with your WordPress website design projects, whether you use them for yourself or your clients I’m sure you’ll love using them as much as I do. So, what are your favorite WordPress development tools? Is there something, in particular, you’re using you think I’ll love checking out? Please feel free to send me an email here.